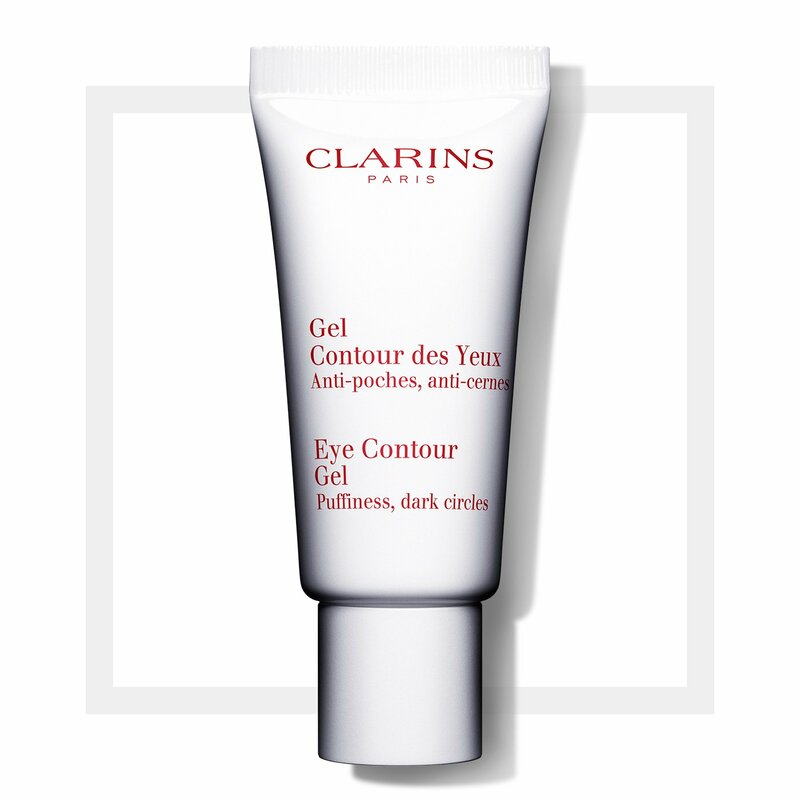 Cooling eye gel that visibly minimizes puffiness and dark circles. Use daily, morning and/or evening. An icy wakeup call for eyes that you can apply any time of day. 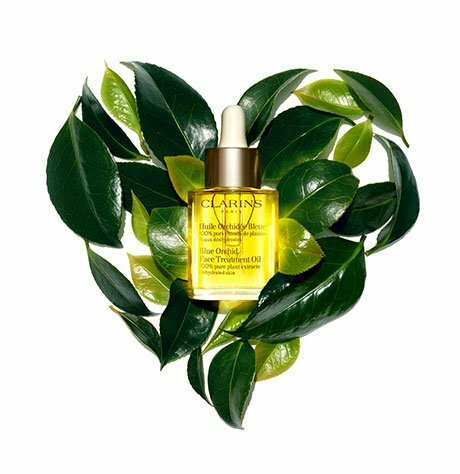 Cooling eye gel visibly minimizes puffiness and dark circles—refreshing, hydrating and relaxing the delicate skin around eyes. Rose Water relaxes, softens and soothes. Palmetto extract refreshes and tones. Preps eyelids for perfect make-up application and long-lasting wear. Soothing relief for the most sensitive eyes. Fingertip-apply to lower and upper eyelids, starting from the inner corners and working outward. Gently press for a draining effect. Oil-free, daily multi-protection sunscreen with broad spectrum SPF 50. Instant radiance balm/mask that brightens, tightens and eliminates signs of fatigue in a flash. Rated 5 out of 5 by Deveaux from so soothing! I have glaucoma and administer eye drops and needed a product that would be gentle yet effective and within a short time of using the Contour Gel, not only are my eyes less puffy, but the product feels very soothing whenever I use it! Rated 3 out of 5 by Cori from So-So When I started using Clarins products in my early 30s this was the first eye cream/gel I used after reading reviews and following recommendations. I never bought a second one, didn't feel like it was doing anything. Rated 5 out of 5 by kgkgkg from Adds a crease to monolids!! I have always had mono-lids (I am korean). I used this on my UPPER eyelid twice a day (morning and night) and after 1-2 weeks noticed my upper eyelid had a semi-pronounced crease. I continued using it and now I have enough of a crease to define my upper eyelid and wear eyeliner without adding a quarter inch of it. My application process is to use a small, pea-size amount between the two eyelids and almost "form" my upper eyelids into the shape I want. I massage the product in to tighten the monolid up. I noticed that when I did not use it one night, one eyelid got droopy. My eyes look wider, I can see better, and I love being able to apply makeup like people with creased eyelids! Rated 1 out of 5 by YuliiaV from Totally useless I have been using this product for a few weeks and taking pics every morning. And there is no a single changes! At all! Waist of money. Rated 4 out of 5 by JulesG16 from This is great for cooling, the gel is kind of watery so you have to be careful dispensing it. I rub it between my fingers and pat it on my eyes. It feels good and does not cause puffiness. I'm not sure if I really need it, I was looking for a solution to the dry crepey skin on my lids and undereyes. But it does feel good. Rated 5 out of 5 by orchidmom from Goodbye puffiness The eye contour gel just works! Puffiness just goes away! Rated 5 out of 5 by Becca10 from Amazing!! I love this!! After only a week, my eyes are so much brighter and less puffy. My dark circles are gone! Rated 5 out of 5 by carlyle1 from EYE GEL! The eye gel always works removes puffiness, softens lines and lifts and brightens eyes. When the puffiness is gone the eyes look better. It also helps with dark circles if used daily. I use it at night and day for best effect.